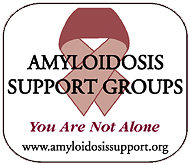 You aren’t alone on your hATTR amyloidosis journey. Building a community of support can help you and your family every step of the way. Read what other patients have to say about their hATTR amyloidosis journeys. Listen to more patient stories from every stage of the hATTR amyloidosis journey here.